This post has been written by Davina Richardson, Children’s Specialist Nurse at Bladder & Bowel UK. Continence problems are considered to be one of the most prevalent healthcare issues in children and young people. Functional constipation affects 0.7-29.6% of (Koppen et al 2014); faecal incontinence, which is often secondary to chronic constipation affects 0.8-7.8% of children worldwide (Ambartsumyan & Nurko, 2013); daytime wetting affects 2.8% of 6-14 year olds (Vasconcelos et al 2017); bedwetting is an issue for 15.5% of 7.5 year olds, with 2.6% wetting at night at least twice a week (Butler et al 2005). Greater percentages of children with additional needs have continence difficulties than do children with typical development (von Gontard, 2015). 20-40% of children and young people with daytime wetting meet the criteria for a disorder of mental health including attention-deficit hyperactivity, oppositional defiance disorder and anxiety (Vasconcelos eta l (2017). Why are the numbers of children attending school with continence problems increasing? With improving healthcare, perinatal mortality rates are falling, but morbidity is increasing. This has meant that special schools are receiving children with more complex needs and ever greater numbers of children with some degree of physical disabilities and/or learning difficulties are attending mainstream schools and, for these children, it is often assumed that toilet training will inevitably be delayed. Toilet training is being taught at a later age than in previous generations (Richardson 2016). This is probably related to the advent of disposable nappies, child-orientated parenting with emphasis on waiting until the child appears ready to toilet train and increasing numbers of children starting school-based nursery at 2 ½ – 3 years of age. The combined result of these factors is increasing numbers starting school without being able to toilet independently (Essity, 2018). There is also evidence that initiating toilet training after two years of age is associated with increased levels of incontinence in childhood (Joinson et al 2009). Furthermore, young people with anorexia nervosa, obesity and autism spectrum disorders all have a high prevalence of wetting. Recent reports indicate that 10% of reception children and 20 % of those in year six are obese (NHS Digital 2018). Children with obesity have more functional constipation and faecal incontinence that their peers of normal weight (von Gontard, 2013) and some studies have suggest children with autism also have higher rates of functional constipation (Samsam et al 2014). 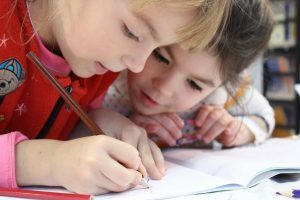 What is the impact of continence problems at school? Daytime continence problems can have a significant impact on self-esteem, wellbeing and socialisation, as well as learning for the children affected. School staff are not health trained and many do not understand that children can have a medical problem affecting their bladder and/or bowel and are often at a loss to know how to help. If a child starts school in a nappy, the staff may assume that the family have not bothered with toilet training. 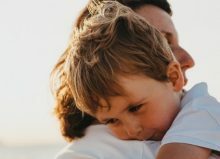 Many adults do not appreciate that children, particularly younger ones may not be aware that they are wet or have soiled and may assume that the child has a behavioural problem. Rules around access to the toilet and drinks can adversely affect all children, but tend to have a disproportionate impact on those with continence difficulties and disabilities. Health visitors can discuss timely toilet training and explain issues around bladder and bowel health with families at developmental checks. They can signpost to appropriate sources of information, such as those on our website and alert families to early signs of constipation and how to address these. School nurses can be alert to signs of continence problems at school entry, provide first line advice and refer on if necessary. They can explain continence problems to school staff, ensuring that they understand that inadequate or dirty toilets, which provide poor levels of privacy and where poor student behaviour is unchecked, can discourage students from using them. This may result in pupils avoiding drinking and withholding urine and faeces during the school day. Schools should be encouraged to consider their policies with respect to access to water bottles and toilets during the day. Staff may also need explanations of normal fluid intake in school age children and to be reminded of the educational and health benefits of children being reminded and encouraged to drink regularly throughout the school day. You can visit the Children and Young People resources section of our website. Or contact us via our confidential helpline (email bladderandboweluk@disabledliving.co.uk or telephone 0161 607 8219). We are currently involved in creating an information pack for schools on continence problems, which we hope will be available in the next few months. More details will be provided through the newsletter when they are published.